For the first time since 2002, the premier series finale will have a new host track - the 1-mile ISM Raceway at Phoenix, which recently completed a $178 million renovation project designed to improve the fan experience, and one which included a reconfiguration for the track's start/finish line. "The fans and the industry as a whole have been vocal about the desire for sweeping changes to the schedule, and the 2020 slate is a reflection of our efforts to execute against that feedback," said Steve O'Donnell, NASCAR executive vice president and chief racing development officer. "These changes are the result of unprecedented consensus-building with our race tracks and broadcast partners; something we look to continue into 2021 and beyond." "Quite fittingly, the birthplace of NASCAR will host the bookend races to the 2020 regular season," O'Donnell said. "Racing in Daytona - particularly in the summer under the lights - never fails in delivering intense and unpredictable action. There's no question this venue will create some incredible drama as drivers make one last push for a playoff spot." Additional summer changes include a Cup Series race on Father's Day, which recently has been an off weekend for the premier series. Chicagoland Speedway hosts the event, the first in the NBC portion of the schedule. With the Daytona summer race moving to the end of the regular season, Indianapolis Motor Speedway will serve as host of the July 4th weekend, a cornerstone on the NASCAR schedule. It hosts the NASCAR Cup Series race on Sunday, July 5. "We enjoyed collaborating with NASCAR and their track partners to create what we think will be our most exciting schedule yet in 2020," said Jon Miller, President, Programming, NBC Sports and NBCSN. "From the iconic Bristol night race becoming part of the Playoffs, to the new home of the Championship Race at the thrilling ISM Raceway, we believe this innovative schedule will be a benefit to everyone in the industry, and, most importantly, the fans." • Hosting the Round of 8 finale isn't the only change for Martinsville Speedway. 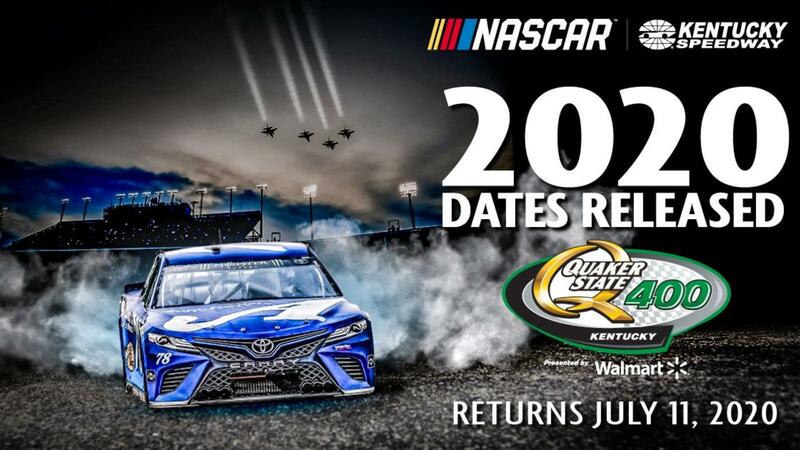 The .526-mile track will host its first NASCAR national series race under the facility's newly installed lights on Mother's Day weekend, May 9, 2020. 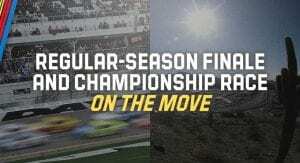 • Previously the host of the finale, Homestead-Miami Speedway's race is slated for March 22, 2020, in the early portion of the regular season. The 1.5-mile track with variable banking produces some of the best racing all year. • The four final races of the regular season are designed to test the mettle of NASCAR's top drivers on a variety of courses. That four-race slate includes a wide 2-mile oval (Michigan), a road course (Watkins Glen), a fast, 1-mile concrete track (Dover) and a 2.5-mile superspeedway (Daytona). "It was a tremendous collaborative effort," said Bill Wanger, FOX Sports EVP Programming, Live Operations and Research. "Working with NASCAR to offer race fans the most compelling schedule requires a fine balance between honoring tradition, while at the same time, looking for places to add energy to the race schedule for the fans and viewers, and we believe that was accomplished for the 2020 season."